Feeling lethargic? Try an ounce or two of this old-fashioned tonic every day: you may be amazed at the results. An invigorating blend of 14 herbs, aged apple cider vinegar and juice concentrates, it's a family recipe that devotees claim helps treat arthritis, high blood pressure, cholesterol and acid reflux. Many others trust it as a daily supplement that boosts the immune system and general good health. 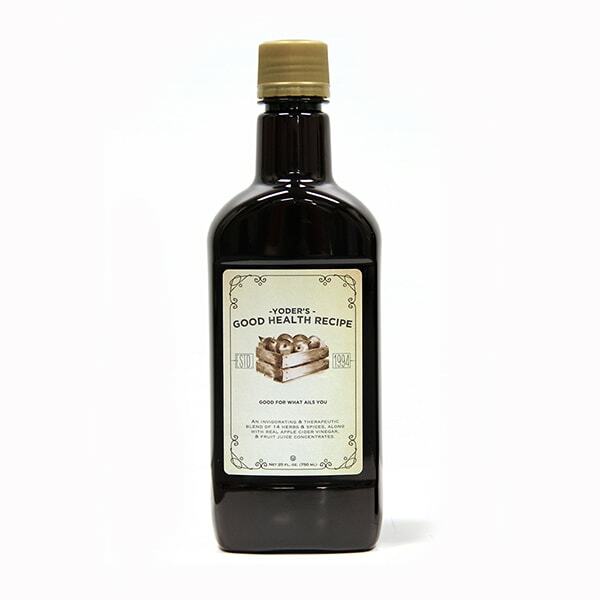 Ingredients: Cider vinegar, water, apple juice, grape juice, and tinctures of ginseng, goldenseal, echinacea, valerian, ginger, black cohosh, chamomile, black walnut, licorice root, anise, cinnamon, cloves, chickweed, fenugreek, potassium sorbate. Do not use while pregnant. Allergy information: contains black walnut. I think it lifted my mental fog as soon as I was taking it. It was cleaning up my insides, better than any supplement. Footnote: I've shared half of mine with a sibling. He got all the herbs and spices in his half, so I think it should be shaken before pouring. This stuff is great! takes away pain of arthritis in hands and knees - PLUS NEVER take antacids again! CURES GERD, bloat, hartburn! Quit taking all those poisonous drugs - take this natural product instead - just try it for a week - it won't even take that long. Can't say enough good things about this.